Artificial Intelligence aka A.I. are on top of the DnB game. The renowned production outfit behind the legendary “Desperado” tune—recipient of Radio 1’s esteemed accolade: ‘Number 1 Drum & Bass Tune of The Year’ 2006; and one of the greatest DnB tracks of all-time—comprises Zula Warner and Glenn Herweijer from London. 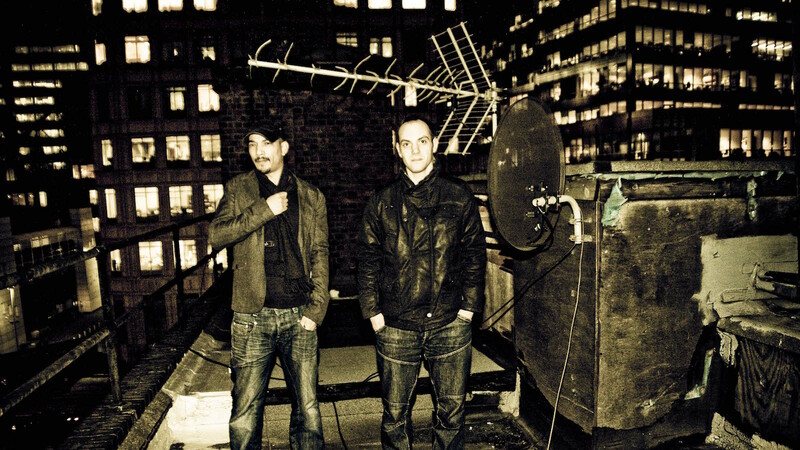 For more than a decade the passionate pair have been studiously building upon their unique signature vibes in the Camden-based studio cave they call second home; cementing their position in the book of Drum & Bass with legendary tunes such as “Uprising”, “Bloodlines”, “Days Of Rage”, “Three’s A Crowd” and of course Stand Alone— their exceptional debut artist album for V Recordings (2010). Discovered by Marcus Intalex who picked up “Ever On” for his influential Soul:R label; in the same week “Soul Good” came out on Klute’s revolutionary Commercial Suicide imprint back in 2003; the hot duo swiftly signed by Bryan Gee to V Recordings shortly after. Right now the duo are enjoying a rather unique position with the scene’s leading labels backing their new material. The massive “You Can Dream” EP hit Shogun Audio last month featuring longtime friend and soulster Steo backed with “Let You Go”—a collaboration with New Zealand’s finest, Tiki Taane. This followed on from their infamous “Dillirious” release dropping on the mighty Metalheadz and the pair’s recent remix of Jagga’s “Outta Control” featured as Friction’s ‘Remix Of The Week’ on BBC Radio 1. With lots of fresh forthcoming material due for 2014, highlights include a huge dancefloor smasher for UKF with America’s illustrious diva, Kathy Brown and a mesmerizing vocal project courtesy of DRS; An Ep for Metalheadz, the year already set to be one of their busiest yet. The full A.I. discography extends to all of the industry’s most established imprints: Metalheadz, Full Cycle, Good Looking, C.I.A., Innerground, Exit; numerous heavyweight remix projects from Eric Prydz to Kelis; and of course their own Integral Records platform—set up in 2006 for pushing groundbreaking music from artists they believed represented the movement’s future producers (which has largely rung true). Not forgetting, exciting news also includes a stunning remix of Lenzman for the highly anticipated Integral compilation album, due for release early 2014. With heavyweight DJ reputations in parallel to their impressive production credentials, Artificial Intelligence are also renowned for delivering their fresh and versatile sets around the globe, headlining the world’s finest clubs and festivals. In their hometown of London, they regularly guest at Fabric and feature on all of the prestigious nights around the city—namely Hype’s Tru Playaz, Andy C’s Ram, Goldie’s Metalheadz, Marcus Intalex’s A Bunch Of Cuts and nights presented by V Recordings. Make sure you keep your ear to the ground for more all-round A.I news as well as announcements for when Artificial Intelligence will be playing your city next!